How to promote on social media? – BUILD YOUR AUDIENCE! Social media is the best place to promote your blog. But the question is, how can you do it real good. I mostly use Facebook, Twitter and Google +, but there are many good other options – Instagram, Pinterest, etc. – what can be very usefull. I suggest to post friendly/funny messages to your Facebook page’s timeline, on Twitter, etc. These are not too interested for your your audience, but they will see your name – your blog’s name – and they will connect these messages to you. “I like XY. He/she is funny/friendly…” So you will be the someone, who write about the things that your audience like, and you also will be the friendly/funny guy too…. I suggest to post min. 5 times a day. Post about your new articles, send out some simple messages, some promo. Post as many you can… I suggest to post quote messages pictures in your niche. Your audience will like it. FOLLOW THESE 3 STEPS AND YOU WILL SEE THAT ALL SOCIAL ACCOUNT’S WILL GROW FASTER…. This website is created to show you my two main online earning options I suggest you to use. This is the best option to choose. 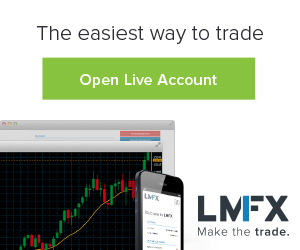 You will receive all the news trading setups, statistics first in e-mail. Most of the readers wants to follow the $100 TO $100k PROJECT step by step. You don’t have to check the website to reach the new trade infos, updates, anymore. You will receive everything in e-mail. FAST, INSTANT AND FREE! CLICK HERE! This is the 2nd best option to follow my projects. You will receive an e-mail about each new post, except the updates of the trades. I’m posting all trades here on DailyProfit4Life.com, so you can find all here, but I will not send the newsletter instantly. The system will send it automatically in 60 minutes, so you can loose some entries and you have to let the posts open and refresh them sometimes to see the updates. I’m posting about the news – all trades and posts – on social networks. The difference is the timing again. This is the last place where I’m posting and I also not posting about the TRADE UPDATES, so you have to refresh the trate posts to see if I change the SL, TP or I close the trades instantly. You can follow me on FACEBOOK, TWITTER, GOOGLE + and I created a TELEGRAM channel this morning. So, If you want to make DailyProfit4Life with my guadience, just follow me, using with any of these options and earn real nice income with me!